We are living in the early stages of a looming worldwide extinction crisis. Abundant evidence shows that the current rate of species extinctions is nearing its highest level since the asteroid collision 65 million years ago, and that humans are largely responsible. This book addresses the urgent need to understand and find solutions to this crisis. 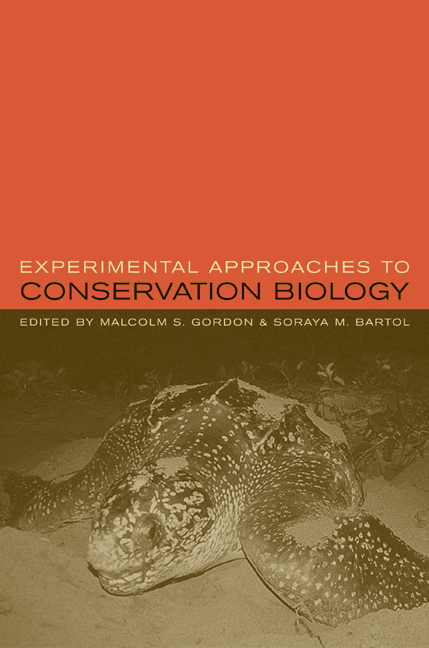 Written by an international team of contributors who are among the best-known and most active experimental biologists working in the field of conservation biology today, it provides a unique approach by focusing on individual species rather than whole plant and animal communities. 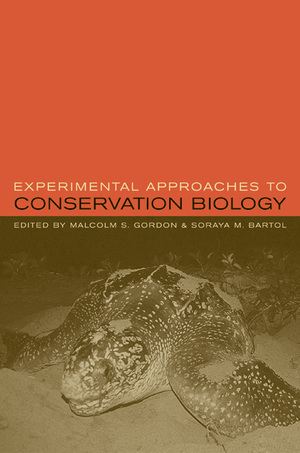 Emphasizing throughout how conservation biology can benefit from an experimental approach, the book looks at a wide range of terrestrial and aquatic species—from giant pandas and tree snails to sea turtles and Steller sea lions—and demonstrates what can be done both to preserve rare species and to combat invasive organisms. Finally, contributors show how we can bridge the gap between policy makers and research scientists in order to develop lasting solutions to these problems. Malcolm S. Gordon, Professor of Biology at the University of California, Los Angeles, is coauthor of Invasions of the Land: The Transitions of Organisms from Aquatic to Terrestrial Life (1995) and of Animal Physiology: Principles and Adaptations (fourth edition 1982), among other books. Soraya M. Bartol is a Postdoctoral Investigator in the Biology Department of the Woods Hole Oceanographic Institution.